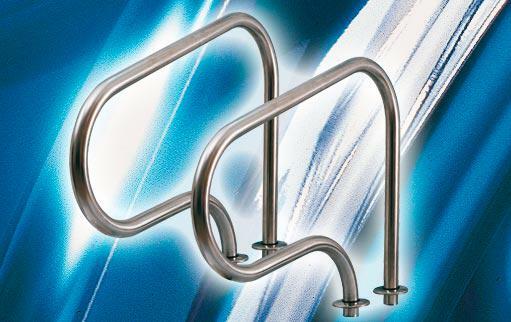 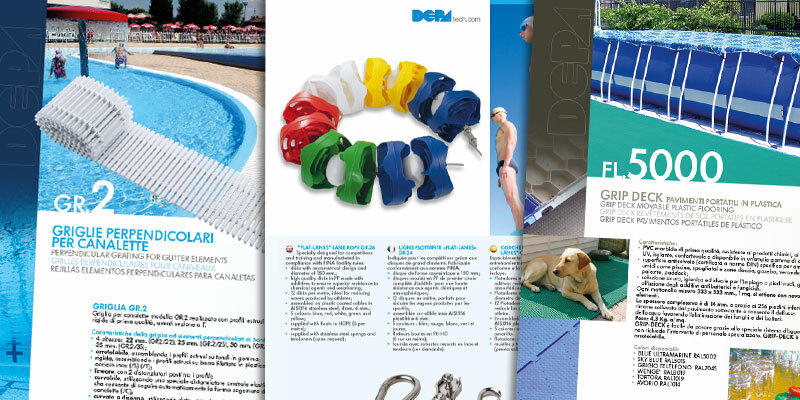 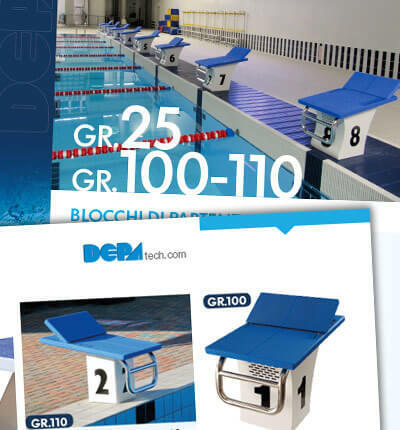 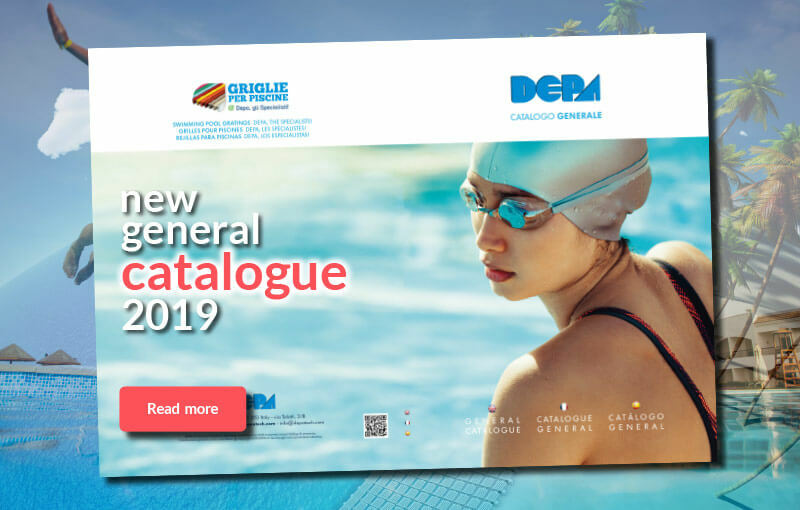 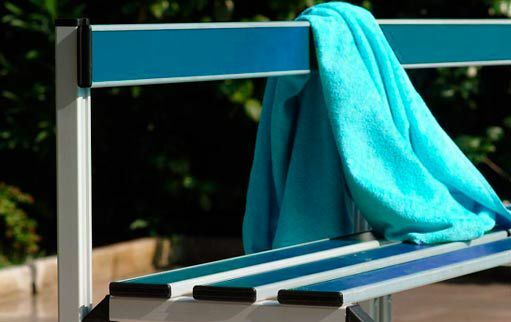 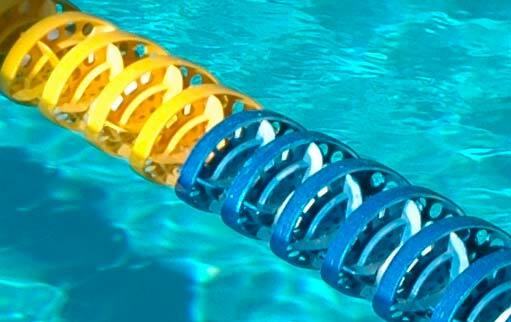 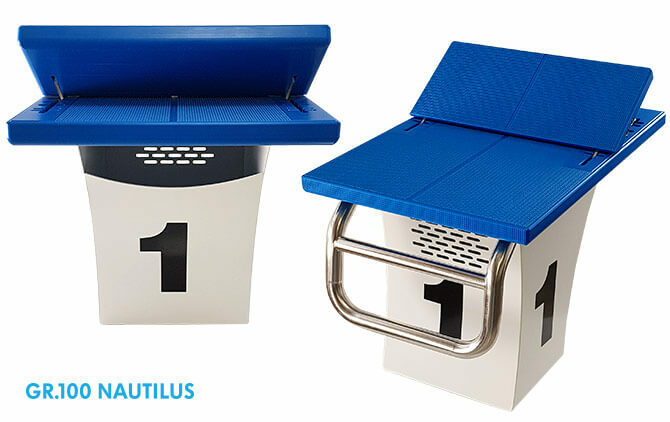 The new Depa catalog 2019, offers a careful selection of the best technical products for pools: perpendicular, parallel and curvable grating, lane ropes, starting blocks, drainage elements, ladders and grab rails. 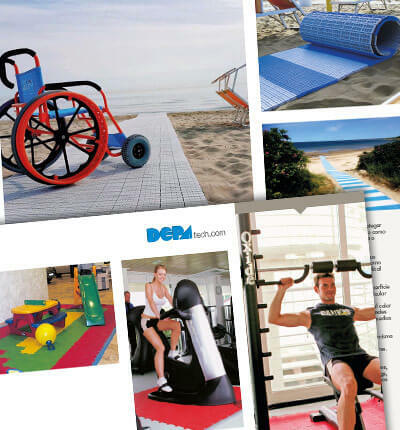 In the Flooring range you can find: non-slip portable floors, beach walkways and technical surfaces for sports. 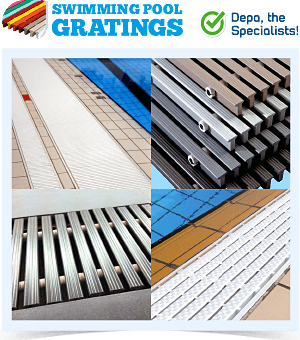 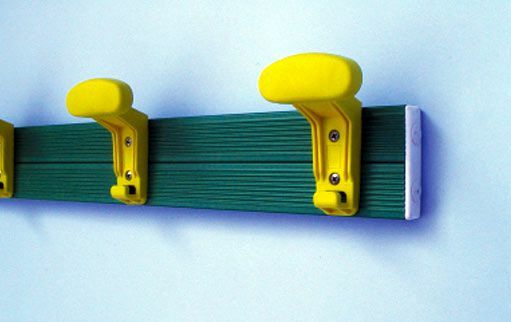 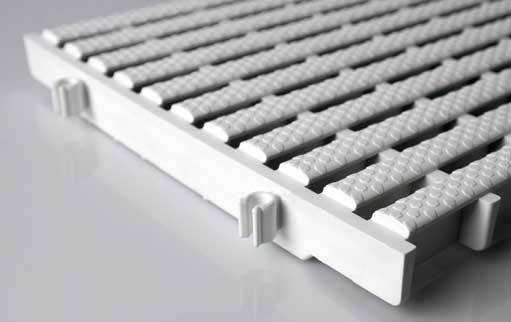 Shower plate, profiles in PVC and alluminium, gutter profiles, drainage elements, dressing room benches, clothes hangers. 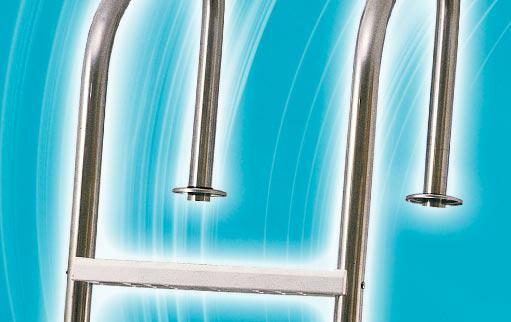 Manufactured in AISI316 stainless, it creates a curtain of water. 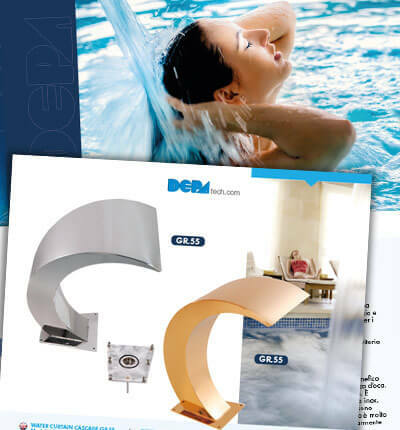 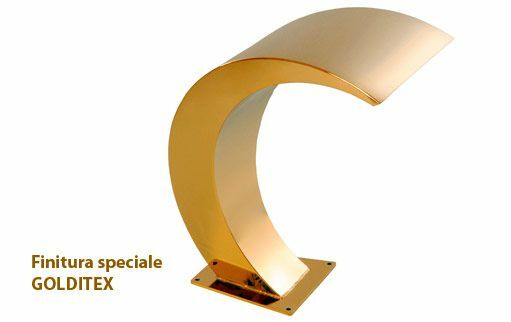 Ideal for an enjoyable massage or to create a spectacular effect. 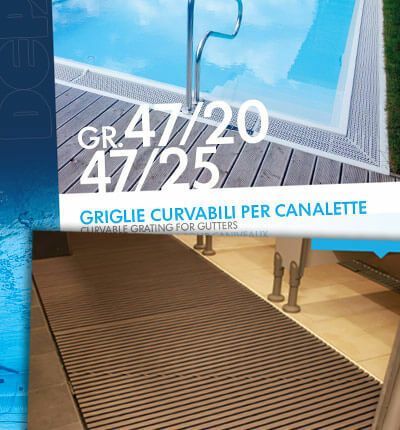 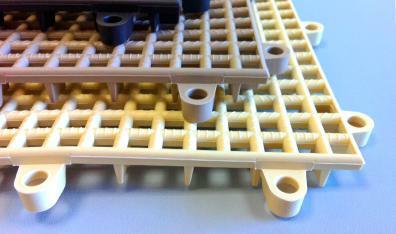 Specially developed to protect or substitute pre-existing floors or to cover grass, soil or sand surfaces.